What is the difference between the 5 Year (B.L.S., LL.B) & 3 Year Course (LL.B)? 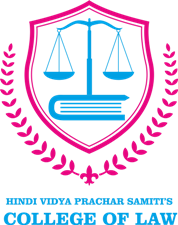 The 5 Year Course is designed for students who have cleared their 12th Board examination and wish to pursue law as a profession. The 5 Years are divided into 2 years of Pre-Law, followed by 3 years LL.B. The course has a total of 10 semesters and the degree conferred at the end of 5 years is B.L.S. (Bachelor of Legal Sciences), LL.B. The 3 Year Course is ONLY for students who have completed their graduation (For eg. BA, BCom, BSc, etc.) from any recognized University. It is 6 semester LL.B. program. What is the criterion for admission to the 5-year/3-year Law Course? Is there any entrance test? GLC will conduct the Common Entrance Test (CET) Entrance examination this year in accordance with guidelines from the University of Mumbai. Thus, students will have to appear for the CET Examination to seek admission in Government Law College, Mumbai. When will the admission forms for the 5 year Law Course be available? The admission forms for the 5 year Law Course will be available on this website & the college office shortly. However, the admission process will begin only after the declaration of the 12th Std. HSC Maharashtra Board Results. (Tentatively towards the end of May). When will the admission forms for the 3 year Law Course be available? The admission forms for the 3 year Law Course will be available on this website & the college office shortly. However, the admission process will begin only after the declaration of graduation results by the University of Mumbai. (Tentatively towards the beginning of June).